Haidyn Bulen is a student at Arizona State University, and is an ISA Featured Blogger. She is studying abroad with ISA in Valencia, Spain. I trudged soundlessly through the infinite sand that enveloped my feet and watched the light show unfolding in front of me: it was dawn in the Saharan Desert and the endless stars from the night before were fading into the background as the sun and the moon played a game of tug of war to light the sky. My eyes fixated on the deep purple hue directly above me that all at once transformed into an intense orange color peeping over the dunes. Humbled by the utter insignificance of my size, I marched on like an ant, and tried to take it all in. The recurring sentiment of this semester has been utter speechlessness. Studying abroad, in sum, has provided me with experiences that I will continue to process and look back on for a lifetime. However, I would not have been able to have these adventures without the ISA Castañeda Scholarship. 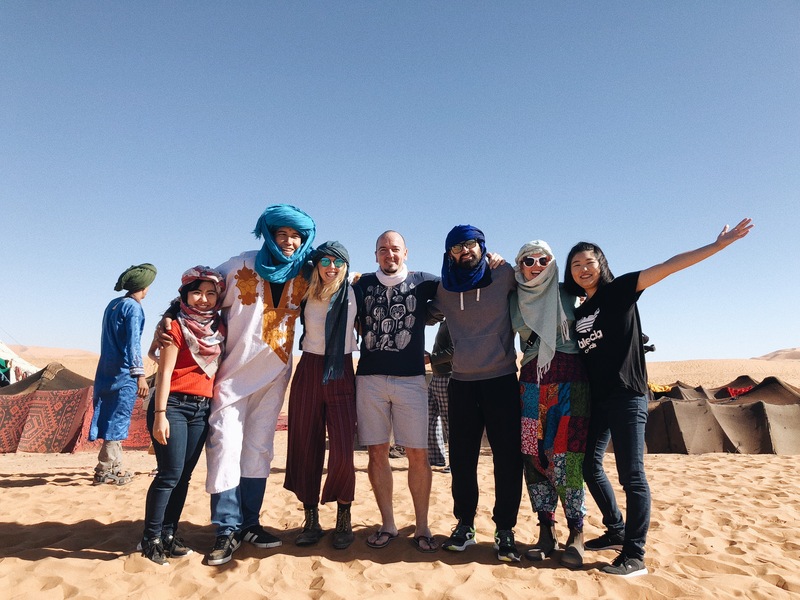 Specifically, I would not have been able to go on the ISA excursion to Morocco, a trip that was unarguably the most formative and lasting that I have had in my life to date. Morocco took my breath away. It was a country of beautiful landscapes, rich culture, language, poverty, and incredible people. We first traveled to the Medina of Fez, which was founded in the 9th century and is said to be the largest remaining Medina in the Arab world. Fez underwent large growth and expansion in the 13th and 14th centuries and has remained unaltered by evolving modern societies since then, with many of the madrasas, fondouks, mosques, and palaces built during this time. In fact, one of the madrasas, the al-Qarawiyyin, has been cited as the oldest university in the world. The unpaved streets of the Medina are a labyrinth, and the life within attests to the persistence of a culture, skills, and architecture that have withstood the test of time. I met a man within a leather manufacture shop who speaks 8 languages without ever having received a formal education nor ever having left Morocco. 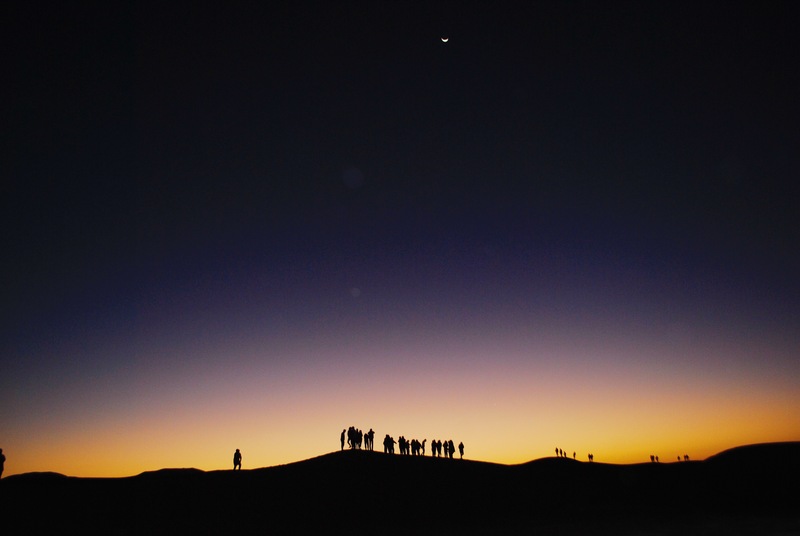 The subsequent nights were spent in the Saharan Desert, camping under a sky blanketed with stars uninterrupted by light pollution. Underneath the dreamy landscape we conversed into late hours of the night with locals who were well versed in a plethora of languages, an effect of the massive tourism in Morocco. 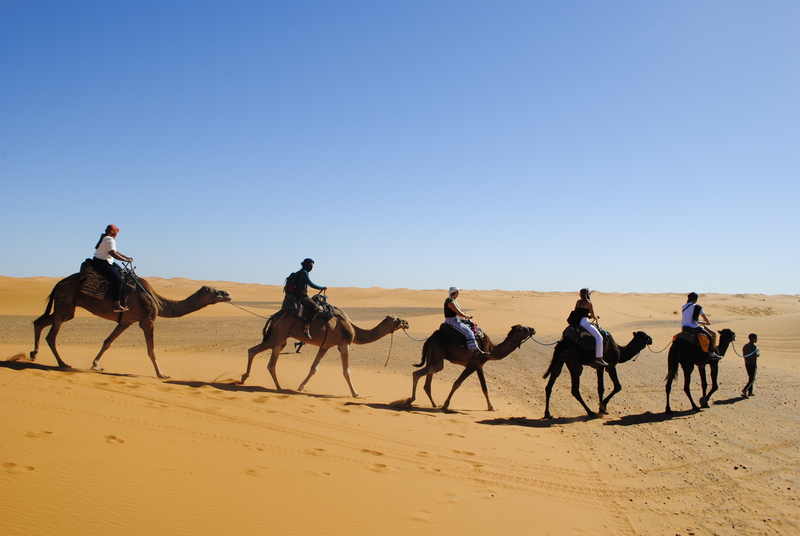 The trip as a whole was dreamy; however, my intention is not to paint Morocco in a false light. There were parts that were hard to take in. It has been difficult to find balance between learning about another culture and feeling guilty for being a tourist in a world where such apparent economic discrepancies exist. 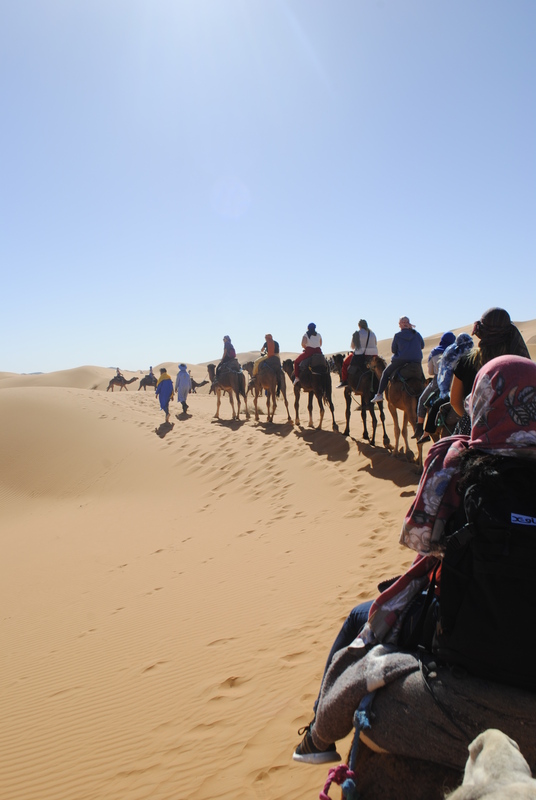 Morocco made me hyperaware of my privilege, a feeling that is both uncomfortable and necessary. That being said, it it is imperative that I utilize the inherent advantage I have been given to learn, bridge cultures, and never stop connecting with the world around me.